Besides various restaurants, swimming pool, bowling alley and indoor kids’ play paradise, there is also a game hall in the park centre of Holiday Park De Krim! 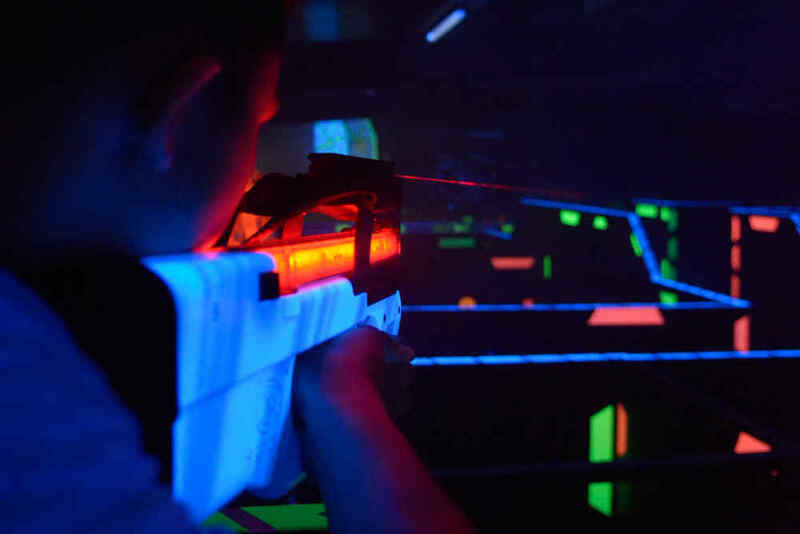 Play a round of ‘glow-in-the-dark’ minigolf or challenge your friends to a thrilling game of laser tag. 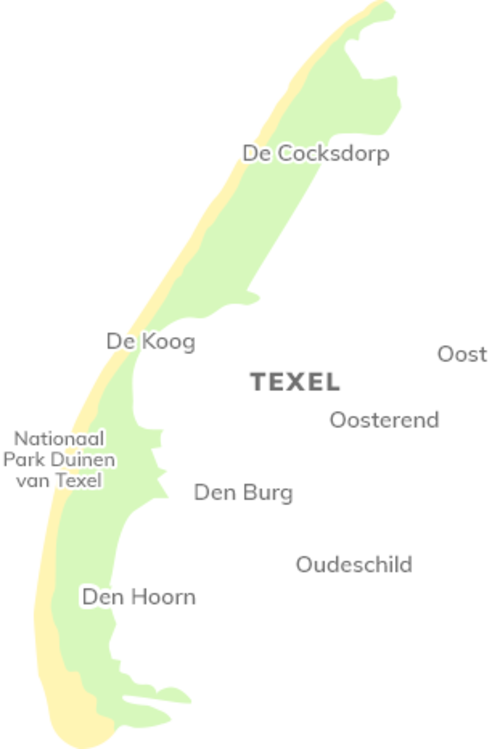 If you live on Texel or are staying somewhere else, you, too, are very welcome to use the facilities at our game hall! 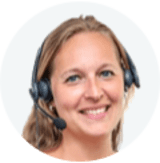 Engage in battle with a group of friends, family and/or colleagues. Our game hall is also a great venue for kids’ parties. Are you ready to dive into the compelling world of virtual reality? 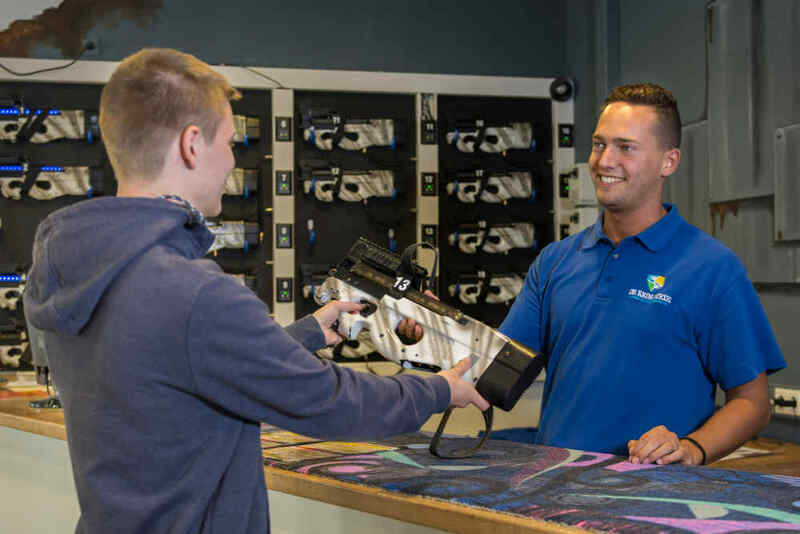 Holiday Park De Krim is one of the first in the Netherlands to have a VR Simulator. You do not need to be a gamer to enjoy the VR experience. Take a seat, put on the glasses and step out of reality. You can have a look around in 360 degrees at another world, far from home. But hold on tight- there’s more to it than sitting still! During the VR experience, you can fly high in the air. You will fly over world cities and buildings - very close to buildings in fact, because that’s the thrill of it. Thanks to the special effects of wind blowers and moving chairs it all comes to life in a spectacular way! Stop by the Gamehal at Holiday Park De Krim, take a seat, put on the VR-glasses and you’re in for an experience! 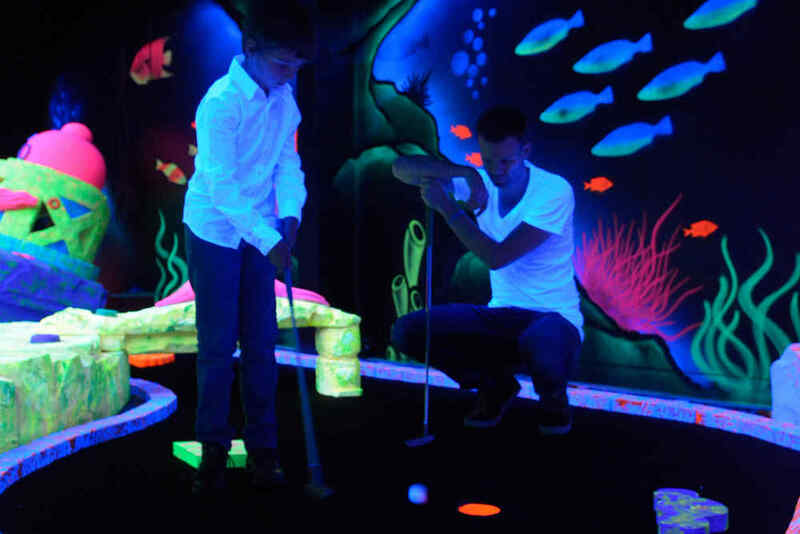 Our 18-hole indoor minigolf course is very special. Why? Because you play in the dark. 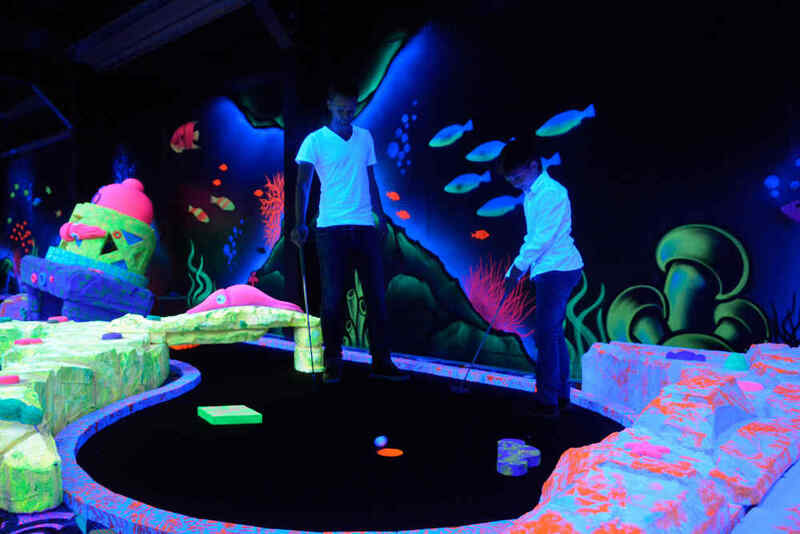 And yet, you can still get the ball in the hole because the holes, walls and obstacles give off light (glow-in-the-dark). 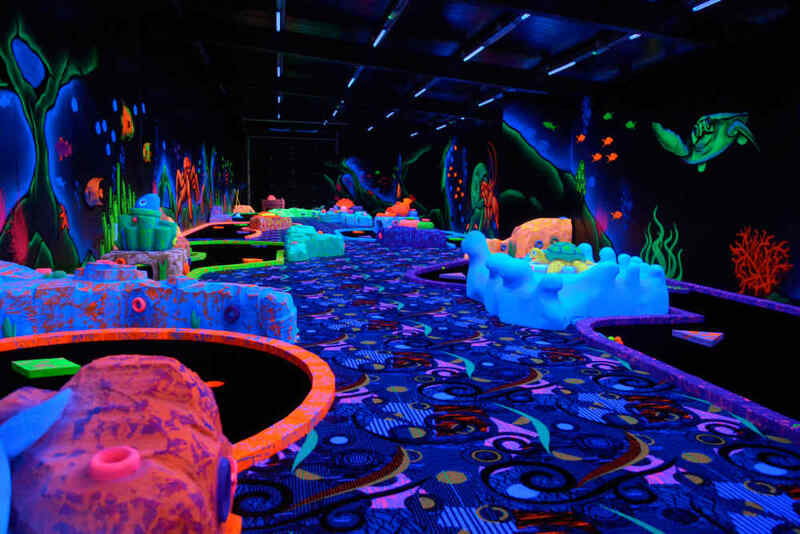 What’s more, this is an underwater-world-themed minigolf course. 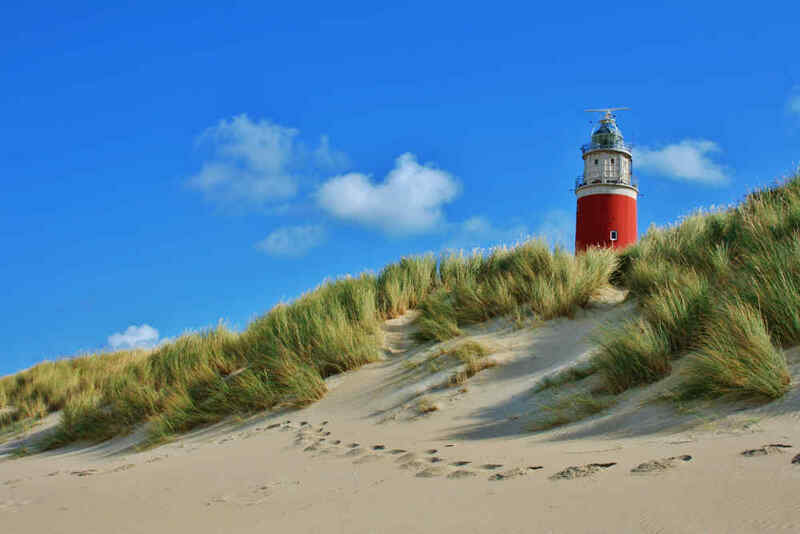 Want to make this experience even more special? Wear white or fluorescent clothes and 3-D glasses (available at €2). Age: Kids under 13 must be accompanied by an adult. 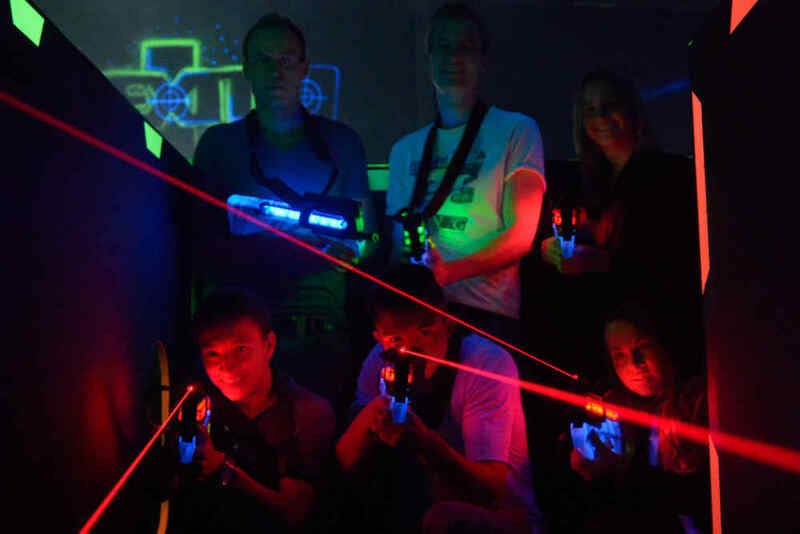 Grab your laser gun and engage in battle with your colleagues, friends or family. 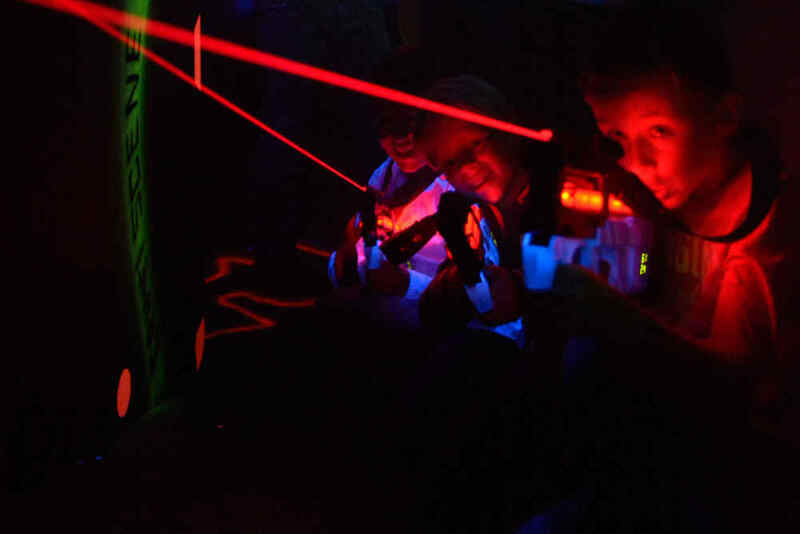 The laser tag arena is totally dark, with several obstacles along the course. Use these to your advantage, hide behind them, then hit your opponents with your laser as much as possible! At the end of the game, the electronic scorecard will reveal the winner. Age: Suitable for kids aged 8 and over. Kids aged 8 to 14 must be accompanied by an adult.